You know how no matter how amazing fancy high-tech pants get, there’s just something about a pair of jeans that can’t be matched? The soft texture that just gets softer with time, the way they seem to fit better after breaking them in for a while, and the fade that gives them a nice lived-in look? There’s just no way to get that with synthetic fibers, which is why I tend to reach for a pair of jeans the second I get back from a trip, no matter how comfy anything else might have been. So wouldn’t it also be great if you could take the same comfy familiarity of a pair of jeans, and combine it with the travel-friendly features that other travel pants have been offering since forever? Hidden zippered pockets, for example? So your passport doesn’t just “disappear” in the middle of Nowhere, Mongolia with nothing but a yurt and a horse to be seen? Yes. Yes it would. So Aviator USA has what they call the “Best Travel Jeans in the World,” which is quite a lofty claim, though at the same time almost no one else on the planet even bothers trying to make such a thing, even though everyone should. But while they’re still busy not even knowing how great an idea this would be, Aviator Jeans have already come up with something pretty great. Oh, and ladies? They make them for you too. Before we begin, I suppose I should mention if I received these as a promo sample, and although I did buy a pair all the way back when the Kickstarter was running, they were a little too small, and I didn’t get around to sending them back for a new size, and had to get rid of them. But then a while later I got an email from the founder, who was hoping to get an in-depth review out into the world somewhere, especially since the original product had been updated since then. I asked if he’d be willing to provide me with the new pair I would have gotten if I had bothered with the sizing exchange back in the day, so that way I could include some real photos and evaluate the new features, which he was happy to do, so…kinda? So with that out of the way, here we go. Notice how they do not have silly zippers all over the place and logos the size of a basketball on every conceivable surface. I cannot stress highly enough how mandatory this feature should be. Sorry if it’s a little dark, but the fabric is “dark indigo,” which is the classic denim shade, with bright yellow contrast stitching. You might notice up there how the top of the pockets looks a bit loose (especially on the right pocket), as if there’s too much fabric there, but this will disappear when it’s worn, as it gets stretched out a bit and flattens perfectly. These do not skimp on the travel-friendly security features. Not only are there multiple zippered pockets, but a couple other little extras as well. One of the improvements in this version is how the zippered pocket is sewn into the regular one; originally these were two separate pockets (and four layers of fabric), and they could flop around independently of each other. Sewing them together means it’s easier to straighten things out by shoving your hand into the regular pocket, and that’ll straighten out the zippered pocket at the same time. It still has four layers of fabric to form the two pockets, but at least they won’t get crooked anymore. Over on the right side there’s a little snap on a belt loop, so you can hang something in place there, like coiled-up headphones, a camera on a wrist strap, an ID badge, or something like that. For something so tiny, it’s quite handy. Moving over to that 5th pocket, which is usually so tiny you can’t use it for much, but this one is deep enough to hold a smartphone. That’s a passport in there, just to give you an idea of what’ll fit, and it’s not even down as far as it’ll go. The pocket is deep enough to hide a passport completely, so it’ll be entirely out of view. As you can tell, it’s also quite a bit deeper than the regular back pockets. This might look a little weird if you’re carrying a wallet back there, as the wallet bulge as seen from the outside won’t match up with the pocket position, but on the other hand, it means you can carry a passport back here without breaking the spine whenever you sit down. It’ll fit low enough that it’ll be directly beneath your thigh, so it’ll be safely flattened, instead of mangled. And if you just want to carry a wallet back there, you could add a stitching line across that extra pocket so the wallet would be up a little higher, so you can live without the extra depth if you prefer, by adding an easy modification. The lighting was a little bright in those last two photos, since I wanted to get the details, so this is probably what it’ll look like once it starts to fade a bit. This is completely different from regular denim. It’s softer and much stretchier, expanding 30% along the horizontal, and 10% along the vertical, which is closer to the comfort you’d get out of a pair of sweatpants than regular jeans. You’ll notice the vast majority is cotton, with a relatively small percentage of quick-drying polyester, meaning this isn’t really supposed to be a high-performance item you can hand-wash in the sink and leave up to dry by morning; in fact drying time was pretty comparable to a regular pair of jeans, at about 12 hours after removing it from the laundry machine, compared to 4 hours for a purely synthetic pant. I think they were going for something different here; they wanted to provide the familiar feel of your favorite pair of jeans, but with the added softness and absorbency of rayon, and the super-stretchiness of spandex, so you’ll stay comfy while scrunched up on a 14 hour flight. They’re also about as thick and heavy as regular denim, coming in at 24 ounces in a size 33, so they’re going to work better in moderate or cooler weather than tropical heat. Combining them with a pair of quick-drying synthetic pants wouldn’t be a bad idea, as you could take the synthetic pants on a hike, and save the natural-feeling jeans for walking around town, where you’re not likely to get dirty and feel the need to wash them right away. The owner actually mentioned that a lot of his visitors had asked how they might differ from the Rohan Jeans Plus (reviewed over here), as they have nearly the same features, but the fabric is completely different; the Rohans are lighter, thinner, and have triple the polyester content, and are thus what you’d want for warm weather, and (relatively) quick-drying performance; the Aviators are softer, heftier, and significantly stretchier, so these are what you’d want for somewhat cooler weather, or soft, stretchy comfort. These come in slim and straight fits (the one pictured here is slim), and include some odd-numbered waist sizes in addition to evens to get things just right. I went a size up from normal, and you probably should too, although “normal” varies quite a bit from one brand to the next. If you’re familiar with Outlier or Bluffworks, which you probably are if you’ve been hanging out here long enough, go one size bigger than your size in either of those. The waistband actually stretches quite a bit, as they used that 30% horizontal stretch along the waistband, rather than rotating to get the 10% vertical stretch; this means you can eat a huge meal and lean over to tie your shoes, and it won’t strangle you at the waist. Even better, it doesn’t really stretch out enough to sag all that much, which was quite a welcome surprise. 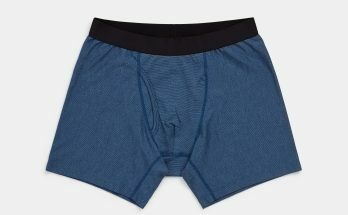 I think the reason is that it should actually stretch a bit to fit; not so much that it’s restrictive, but enough that you’re not just fastening the button with the pants just laying flatly in place; they should be stretched just a bit to get zipped and buttoned, and they’ll be as comfy as an elastic sweatpant waistband, yet somehow won’t gradually stretch out and fall down. It’s pretty impressive if you get it just right, and you can skip the belt without running into too much trouble. The inseam is cut extra long, so it’ll hit just right if you’re about 6 feet tall. Shorter people will probably need to get it hemmed, or flip it up at the ankles, but just know that it’ll shrink about an inch if you wash and dry it, so do that first before you take it to a tailor to get it hemmed. Final thoughts on Aviator Jeans! I’ve always been on the lookout for jeans with travel-friendly features such as hidden zippered pockets, but in a style that doesn’t shout about how much of a backpacker you are. Visible security zippers, for example, drive me absolutely crazy. Luckily there’s nothing like that here at all. These feature a total of seven pockets, two of which are zippered, all of which will fit a passport, and none of which are inexplicably visible from the outside. They look great, hiding all of their extras beneath the surface––but I think the fabric is going to be the biggest surprise here. It really is like wearing a pair of sweatpants, yet somehow they’re not saggy enough to fall down, or feel wispy. They have the heft and appearance of regular jeans, but stretch as much as you’ll ever need them to, even if you’re doing cartwheels in a park, and that always-right stretchy waistband is kind of amazing. These aren’t particularly light, nor are they super quick-drying, so if you need that kind of performance, you’ll want to bring another pair of synthetic pants for dusty trails, or heavy rain. But after a long hike, when you throw those hiking pants into the wash and you just want to change into something comfortable, these are going to be great. Head over here to check them out. That’ll take you to the main page with both men’s and women’s options, in all colors. I have found that in the past, I pretty much have similar ideas as you about what I want from a garment or a bag, but this time I have to differ. Not just because I live in a warm climate, as I do go back to UK occasionally, but because I need lots of pockets ( which these have) AND because I don’t like having to carry my things in pockets which are not comfortable at all times. I never found the original denim comfortable, as the materials were too stiff and thick, and the seams could be abrasive depending on whether they were in or out. The new material is improved, but still reeks of builders and cowboys, and regrettably some jeans never get the benefit of being taken to the river and thrashed on a rock. Or the inside of a washing machine. Now for travel, cool and quick drying is the answer, whether from overnight washing in a sink or wading waist deep in hurricane floodwater. For me, although the hidden pockets are apparently large enough for a (US) passport, an Apple size phone or a wallet, they are in the places where your body folds when lounging, or you are sitting on the contents, which is not comfortable, especially on a long flight in a cramped airline seat. There are only two viable places for pockets to contain passports or phones and they are on the front of your thigh, preferably with an inner phone-sized pocket to stop your phone moving too much. Craghoppers have set a high bar on pocket design, and rather than the Aviator jeans would be my travel trouser of choice. They have Classic Kiwi trousers in a heavier weight, that will still dry twice as quickly as jeans, and the latest NosiLife models are not only lightweight and extremely fast drying in tropical storms but also have an Insect Repellent fabric. Why use denim when modern fabrics have been developed, unless for an outdated fashion statement? You’re right that the 5th pocket is up at the hinge, so it’s a bit of a problem when you sit down, so I like to carry my phone in the regular pocket anyway. It’s easier to take in and out, and it works fine for me when I sit. But I like having that other one as an option, especially if you’re just walking around, and you’re not going to sit down for a while anyway. It’s also a nice place for extra cash, since a couple folded-up bills are going to be practically impossible to pickpocket when they’re all the way down there. 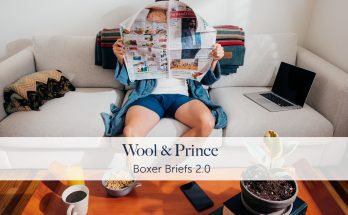 As for natural vs. synthetic, you’re right that synthetic fabrics are better for quick washing and drying overnight, and high-performance needs, but some people just can’t stand wearing them every day for months at a time. In that case I don’t think it’s too crazy an idea to have one pair of high-performance pants for the outdoorsy adventures, and a regular pair for casual nights out, where you’d rather look good and feel comfy in the natural fabric. The more adventurous you get, the more sense it makes to bring two pairs of high-tech pants; the more casual the trip, like a business trip, a cool-weather vacation, or things like that, the less it’ll be a problem to lounge in a pair of jeans. I love these travel clothes reviews. Thanks! Definitely more on the way. I’m seeing a very narrow niche for these. Unless you specifically need the extra pockets, there are better options. For about $70 less you can get super stretchy jeans from the big mall brands. In the same price range as the Aviators you’ve got Bulletprufe, which look a bit less like jeans but should also be better performing. At $30 more, you’ve got Dish/Duer, which are both better looking and performing. And of course at all price ranges you’ve got synthetic fabric pants that will blow cotton based stuff out of the water. It’s certainly not going to work for all cases, especially if you need something quick-drying, with a higher synthetic percentage, or purely synthetic. 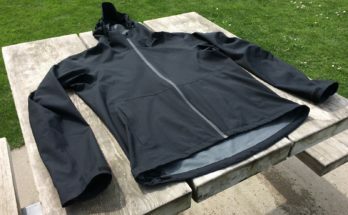 I tend to go for the pure synthetics, because I run into a situation where I have to do a sink wash sooner or later, but some people can’t stand wearing pure nylon or polyester, and need something else. Love the site. I’ve purchased a pair of outlier SDs and new way longs. They are cooler than jeans for sure, and this is coming from a guy who runs hot and lives in Hawaii. I’m curious though. All this synthetic fibers has gotten me wondering about pollution as well as what happens in a fire (thanks to a member on another forum). That being said, any experience with waxed cotton/canvas pants? Just wondering how that would stack up against full synthetics, or even blends. I’m looking into waxed cotton jackets, just because they look so great, but they’re quite heavy, and not so breathable. On the upside, they’re far more easily repairable than synthetic jackets. Barbour has a repair facility that services jackets that are 30 years old. That’s kind of what I want. The only alternative I know of is Ably Apparel, though I haven’t given them a try yet. They use regular cotton, but treat it with a water-resistant finish to achieve quick-drying performance. Sounds like it could accomplish the same thing as synthetics, but in an eco-friendly manner, if it works as described. And yes, polyester does pollute, sadly. I’ve seen a few solutions, such as the GuppyBag and CoraBall, but I think the best solution would be to drape the GuppyBag onto the exhaust port of a washing machine, if you have one of those exposed hoses that goes into a giant sink. That would be infinitely easier than putting garments into the bag like you’re supposed to. 30 years!?!? That’s awesome. Too much remove and replace instead of remove and repair these days. Cars, appliances, and even homes. Precious few things are built to last. I guess that’s why I’m wondering about these items. That being said check out Taylor stitch, they seem to have a selection of waxed cotton canvas goods, including pants. Taylor Stitch’s “Travel Shorts” look perfect, but it makes me wonder why their “Travel Chinos” are just cotton, without the extra features…seems like a weird naming mishap. Here’s that Barbour video. It’s really cool. I’ve started investing in Goodyear-welted shoes, so you can replace the soles when they wear out. Some of those boots can last a good 30 years too. I think Nordstrom carries them, and they have some good shipping and return shipping policies. They also have regular and tailored fits, so keep an eye out for that. But yeah, I tried one on, and thought…yup. Gotta get one of these. I bought ExOfficio’s Dylan Jeans back in the Spring for a couple of business trips domestically than a two week trip through Europe this past Sept. Hands down they’re my favorite travel pants, these aren’t the safari style of old that the company was known for. Three hidden pockets, one of them in the leg, the zippers are not as large as the Aviator’s and the waist band is very comfortable, especially when wearing a backpack and all the layers start to rub. Similar fabric composition, using the in-style dark denim color, also comes in short and long inseam lengths. I look forward to getting a second pair. I see some of the major players doing more of the casual/performance crossover items, and it seems like a smart move. Happy to hear these are a good example of that. I just got a pair of the Aviators – amazingly comfortable. No exaggeration to say they feel like sweats. I thought my Bluff chinos were the most comfortable travel pants ever, but these are even more so. The jeans look good too, nice enough for a decent restaurant or theater. But with these and the Bluffworks chinos I should be set for just about anything. I’m not quite as slim as I was in my wild and crazy youth so these guys stretch where needed without stretching out. Yup, those were definitely the biggest factors in the pro column, I would say. Anyone who’s a fan of sweats will love them. NOPE. People probably want to see the waistband and so on. I never walk around with a tucked-in shirt on a normal day, though, so don’t worry. Fair enough. Go nekkid then, dude. I love your internet space. You might be personally responsible for ‘not looking like travel pants travel pants’. I just got a couple of brions and things are definitely improving. I am harassing the people at aviator now to try to get their jeans local in LA. Haha. And they’re in LA, right? Tell the guy I say hi if you go visit. Îm curious when they will start selling slacks for men? That one does already, and I think I’ve seen a couple others that do. I don’t pay too much attention to women’s travel clothing though, so check out Travel Fashion Girl and Her Packing List for those.